Carpet Cleaning Sydney delivers high quality cleaning services at competitive prices. The company specializes in the professional treatment and cleaning of sensitive fabrics, demanding materials and other garments that cannot be subjected to conventional machine washing. 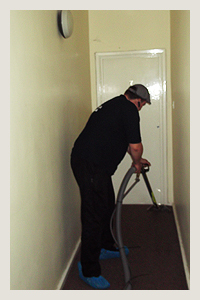 Carpet Cleaning Sydney has been an active part of the cleaning industry for a number of years now. 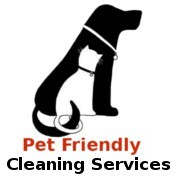 We have established our reputation as one of the best cleaning services providers on the local market. The company aims at covering a wide range of customer cleaning requirements which in turn has lead to the development of our comprehensive list of quality cleaning services, designed to deliver value for money service without making a mess of the monthly budget. All of our work is carried out by trained professional cleaners and experienced carpet technicians with sufficient background knowledge and plenty of industry experience. Carpet Cleaning Sydney uses the latest and most efficient, professional cleaning equipment available in order to reduce material waste and to keep service costs at a minimum. Our list of quality cleaning services includes professional carpet and upholstery cleaning that will make your tired carpets look years younger and will keep them fresher for longer. Upholstery cleaning of furniture will reduce everyday wear and tear traces and lift any stubborn stains you thought would never come off. We can also offer customers effective and affordable sofa cleaning, which is ideal for those sofa fabric finishes which cannot be maintained in any other way without staining or altering their fibers. We also have a touch for the finer side of things and have developed special rug and curtain cleaning service for those really sensitive silk curtains that will be ruined if machine washed. Valuable rugs will be cleaned with caution and attention to detail, customers don’t need to worry about discolouration or alteration of fiber characteristics. For customers that value a good night’s rest, Carpet Cleaning Sydney can also offer professional mattress cleaning service at very reasonable prices and with excellent results. The company is fully insured and licensed to perform all the types of cleaning included in the service list. 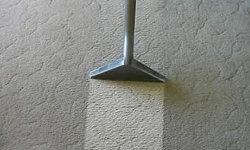 Carpet cleaning is a technical process which is best left to professionals. Carpet Cleaning Sydney offers top quality carpet cleaning at moderate prices. 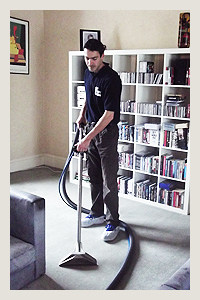 Our carpet cleaning service can be ordered for a single room only or for the entire house. Carpets, as most people would be aware are usually fitted throughout most of the house and are subjected to everyday use which will eventually take its toll on the carpets. If your carpets are starting to look tired and worn from the daily beating, then it is definitely time to call Carpet Cleaning Sydney and have your carpets rejuvenated at a fraction of the cost. Professional carpet cleaning is recommended to be done at least once a year as this is the only proven way to keep your carpets looking better for longer. Carpets generally accumulate great amounts of dust, pollen, insect eggs and other irritants which may affect asthma sufferers or allergy prone individuals occupying the property. Professional carpet cleaning is also the most efficient and sparing way to deal with heavy and stubborn stains like animal urine, wine etc. Our carpet cleaning service is suitable for both natural and synthetic fiber carpets and will not damage the carpets fiber structure or appeal in any way of form. Carpet Cleaning Sydney performs all carpet cleaning jobs using the latest and most efficient carpet cleaning systems and equipment available. Using the best equipment on the market allows for efficient cleaning and reasonable service costs. The company works under an eco-sustainability policy and will keep water waste at minimum and will not use any harsh or toxic chemicals during the cleaning, should the need bet there for a more aggressive treatment, our technicians will only use a sparing amount in order to get the job done without exposing occupants or pets to danger of intoxication. Each carpet cleaning appointment is carried out by a team of professional carpet cleaning technicians which know the trade inside out and will perform exceptionally every time. Our customers can also receive a competitive, free of charge, no obligation quote. Carpet Cleaning Sydney did a great job cleaning my 13-years-old wool Berber wall-to-wall that was very badly stained. Looks like new. The technician was knowledgeable, efficient and pleasant. I'd use them again, anytime. I never realized how dirty my rug was until Tom came to clean it. The difference was unbelievable. Now my rug looks like new again. The service was amazing; they know exactly what kind of care my rug needed.